FILE: Wallen Baptist Church is in the process of buying the 23-acre campus at 2000 N. Wells St., currently occupied by Horizon Christian Academy. The 23-acre Wells Street campus formerly owned by the YWCA and currently occupied by Horizon Christian Academy is being bought by Wallen Baptist Church for a new ministry. Wallen Baptist, which also operates Hope Community Church, has agreed on a purchase price and is arranging financing, said Tim Williams, church administrator. Williams declined to disclose the sale price. The property is owned by Schoolhouse Finance. 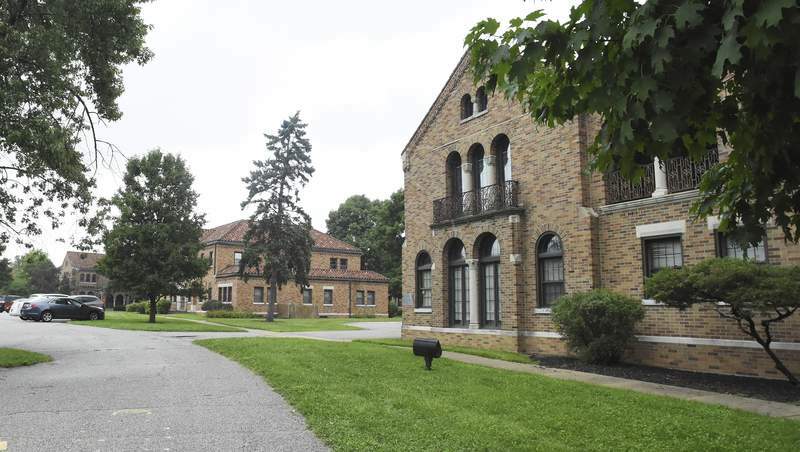 If the deal goes through, Williams said the Wallen and Hope churches would occupy the campus under a common name, which hasn't been determined. He expects Hope, 1213 Saint Marys Ave., to move in by late February or early March. Wallen Baptist Church, 1001 W. Wallen Road, would follow in March or April, he said. Closing on the property is tentatively set for late January, Willams added. “For probably the last 10 years or so, many of the ministry opportunities that have fallen into our laps have turned our focus more toward the folks that live more in the urban environment,” Williams said. That resulted in Hope Community Church, which has been growing for three years, he said. When the Wells Street campus became available late last year, church elders began to consider consolidating their ministries. The future of Horizon Christian Academy, a private school that serves pre-K through 12th grade, is unclear. Tammy Henline, Horizon co-founder, said in an email that the school will continue. Citing the Thanksgiving holiday break, she declined to provide details this week. Williams said his church has talked to Horizon officials but has not been told of their plans. A voice mail left Wednesday for Schoolhouse Finance spokeswoman Rhonda Cagle had not been returned Thursday. The church envisions uses for all the buildings. A 1,000- to 1,200-seat sanctuary would occupy the large main building. Church offices would occupy another building. A third building would be occupied by another ministry Wallen Baptist has partnered with, Williams said. The church also is in preliminary talks with other community and regional ministries. “As we're able to partner with other ministries and develop the resources, then we would probably go through and retrofit the interiors of the remaining three buildings out front and get them up and running as well,” he said. Wallen Baptist has between 1,000 and 1,100 in attendance in a given month, Williams said. Church officials are currently looking for a buyer for that property. They lease the Hope property. The church is a partner with Fort Wayne United, a city program to enhance opportunities for black men and boys in Fort Wayne, said John Perlich, city spokesman. Williams said the church is optimistic about the move, if all works out.